In the oracle against Egypt, God said, “I will make Pathros desolate, Set a fire in Zoan and execute judgments on Thebes” (Ezekiel 30:14). “The phenomenal city [Thebes]was the center of Upper Egypt, and the seat of government during most of the time of Egyptian world power” (Bible and Spade, Vol. 7, p. 33). This shot of the Luxor temple at Thebes shows the court of Amenhotep III (reigned 1390-1352 BC), with its double rows of massive columns. 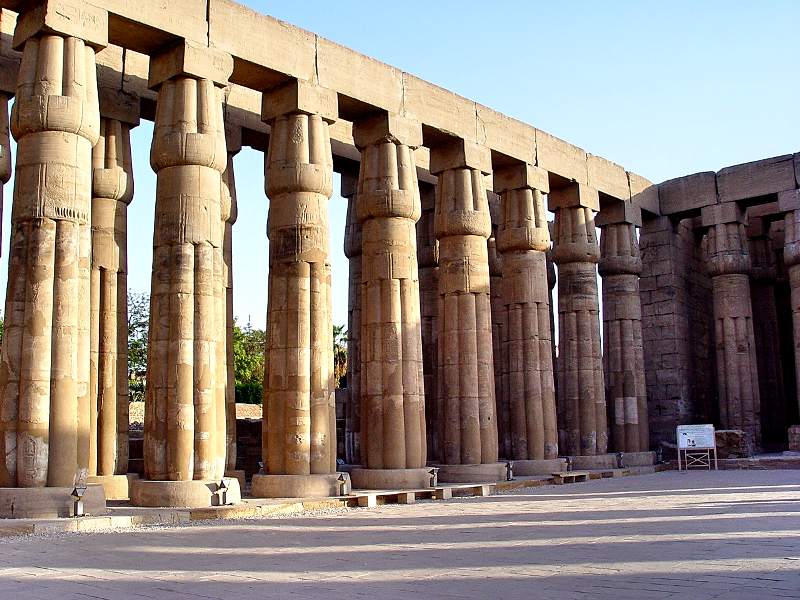 Court of Amenhotep III, at Luxor, biblical Thebes. Photo by Leon Mauldin.
. . . The team also found a 3.5-inch Egyptian scarab, dating to the reign of Pharaoh Amenhotep III (1390–1352 B.C.). The eight lines, engraved in hieroglyphs, enumerate the pharaoh’s achievements, proclaiming his prowess as a hunter and declaring that he had killed 102 lions during the first ten years of his reign. According to the team’s Egyptologist, Deborah Sweeney, such seals were typically sent to the edges of the Egyptian kingdom to praise and glorify the king (BAR 26:02 March/April 2000). This entry was posted on Friday, July 6th, 2012 at 4:16 PM and is filed under Bible History and Geography, Bible Study, Egypt, Old Testament, photography, Travel. You can follow any responses to this entry through the RSS 2.0 feed. You can leave a response, or trackback from your own site.